“The object of the exercise,” as my editor always puts it, is engagement. 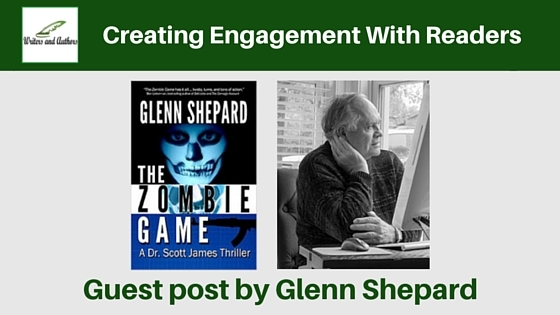 “Engage the reader and keep him or her engaged.” I’ve always tried to keep this in mind when I’ve been writing. “Engagement” can be seen when you’re walking through an airport concourse. This is a place where you can see a lot of readers sitting around, interacting with written material—magazines, books, even comic books. Observe these people, next time you have the chance. Some are looking around, perhaps shifting in their seats, maybe even putting their books down. But you’ll also see people who are staring at the book and can’t be distracted. This is the “airport trance.” These people have forgotten that they are reading. These people are engaged. Engagement can sometimes be obtained through action. You can plunge right in and have your hero run from the bad guys on the first page. That is fine, but there are other ways. Curiosities are good. Mark Twain gave the reader a detailed tour of the unique things that can are found in a little boy’s pockets, an old nickel, a piece of string, a broken pocket knife, and half a stick of gum. Describing these things also helped to give Tom Sawyer his identity. Dinesen gave us the ins and outs of courtship in a remote African tribe in Out of Africa. In my books, I’ve tried to talk about the strange properties of mind-altering drugs, zombie ceremonies, and the way the Ebola disease really works. Food is good. Like him or hate him, million seller Stuart Woods always has a good meal scene early in every book. Write about food, and you will engage a reader. Of course, engagement is closely related to pacing. If you’ve got something that you know is fundamentally engaging and you’ve also got to tell the reader something that isn’t, you’ve got to be careful to mix them as tightly together as you can. Thankfully, my hero, much to his unhappiness, is always being chased. 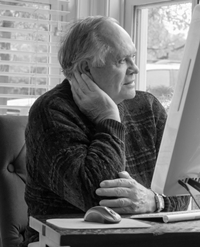 Glenn Shepard’s first novel, Surge, was written while he was still a surgical resident at Vanderbilt. In the following years he wrote The Hart Virus, a one-thousand-page epic about the AIDS crisis, as well as three other novels. In 2012, he created “Dr. Scott James,” his Fugitive-like action-hero, and began publishing a series. 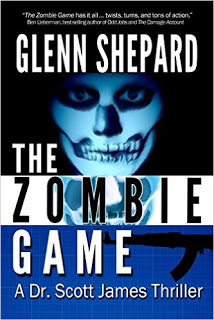 The first volume of the Dr. Scott James series was The Missile Game, followed shortly afterward by The Zombie Game. The third of the series, The Ebola Game, is due out in December, 2015. Though the books contain many of the same characters, they don’t have to be read in order. Each can be read as a stand-alone. "you’ll also see people who are staring at the book and can’t be distracted. This is the “airport trance.” These people have forgotten that they are reading. These people are engaged." - this is so true! Sometimes when I am reading I can totally ignore everything going on around me. I think the house could fall around me. On the other hand - if a book does not totally engage me - I consider it slow or boring. And I also agree that engagement does not always have to mean action. Some books I read do not have any action at all - but I am fully engaged the whole time - it is just stuff I can relate to!